Transfer from airport to the hotel downtown. 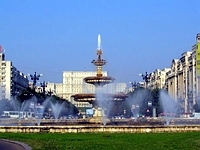 Panoramic tour of Bucharest including: The Palace of Ceausescu ( the Parliament today ), the Cotroceni palace , the Revolution Square with the beautiful Atheneum and the Royal Palace, the avenue Kiseleff with the Arch of Triumph , similar to the one in Paris, Victoria Square with Victoria Avenue full of casinos, luxury shops and French style buildings etc. Dinner in the oldest brewery in Bucharest " Caru cu bere ", located in the heart of the capital. The night can continue in the historical center where there are so many things to do: go in a Disco Pub ( for those who love bear )or a Music Club ( for those who like live music ) or simpy enjoy Balkan atmosphere in a Music Bar. Overnight central hotel in Bucharest. In the morning departure to Prahova Valley, famous for its castles . 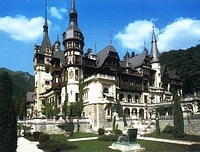 Arrival in Sinaia, " the pearl of the Carpathians " where you can visit the most beautiful castle Romania in Bavarian-style from the period of King Carol the 1st - Peles Castle. Nearby there is Castle Pelisor, built for Ferdinand and Mary by King Carol the 1st and decorated by the same Queen Mary in art nouveau style. Continue with Bran - Dracula's Castle, famous worldwide for the bloodthirsty prince Vlad Tepes. In the same castle Queen Mary used to spend the summers away from the court. Lunch in a farm complex overlooking the Castle of Dracula. After lunch, visit of fortified citadel of Rajnov, from 13th century , founded by Teutonic knights. In the evening arrival in Brasov, important economic and cultural Romanian city. Short visit of the historic centre: The Black Church , the Council Square, the old Schei district, Caterina Gate separating the Romanians by the Saxons, once the patrons of the city. Return to Bucharest and for those who love dancing this is the night, you can choose between hundreds of Disco Clubs for everyone's taste and budget. Overnight in Bucharest, the same hotel. 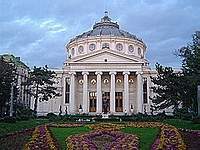 Guided tour of the capital including: The palace of Ceausescu - People's House ( the largest in Europe and second worldwide with over 1300 rooms , 700 architects and 20,000 workers); The Cotroceni Palace with the presidential area Cotroceni ( decorated with antique -style villas remembering the " Little Paris " in the '30s ); the Revolution Square where you can still see the bullet holes in some buildings from December 1989; the Patriarchy Hill (Our little Vatican ) the headquarters of the Romanian Orthodox Church , the Patriarchy Palace etc. Afterwards we will have a visit to an open-air museum - the Village Museum - reproduction of various rural areas from Romania. In the afternoon we continue for a walk on the streets of Lipscani in the historical centre. Here you can admire the old pubs, antiquaries, the ancient court from the times of Vlad Tepes, the old hotel tavern Hanul Manuc, one of the oldest churches in Bucharest - the Stavropoleos Church, the CEC Palace - The Savings' House. Special dinner in a restaurant style "bistro" reminiscent from the period when Bucharest was referred to as the "Little Paris of the East ". Overnight hotel Bucharest. Free time in the morning to discover the capital and for shopping. Transfer to the airport in time for the flight. 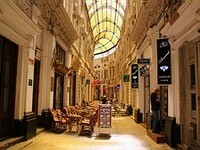 RESERVE NOW your WEEK END IN BUCHAREST , for a city break in the Little Paris of the Balkans!